Any homeowner knows that with homeownership comes home repairs. 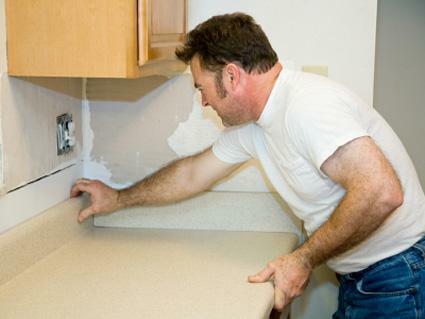 Learning to do some of those repairs yourself can help keep your home in good condition and save you money over time. This group of home improvement projects can be tackled by any do-it-yourself homeowner with a little time and patience. These plumbing repairs and projects cover several areas of the home. How To Install a Kitchen Faucet tackles the removal of an old faucet and the installation of a new one. This is a great project for a novice DIYer to do in an afternoon. How To Fix a Leaky Kitchen Faucet is a great project for a novice as well. It takes you through step-by-step how to eliminate most common leaks. How to Plumb a Kitchen Sink is a good project for DIYers who are a little more seasoned. It walks you through the drain and faucet hook ups for the sink. Replacing a Bathroom Sink Faucet shows you how to remove and replace your old bathroom faucet. This is a novice project that can be done in an afternoon. How Do I Change a Bathtub Faucet is a more challenging project for homeowners who have a little plumbing experience. It explains how to change out most tub fillers. Fixing Leaking Tub Faucet is a project for folks with a little more DIY experience under their belts. It walks you through solving the most common problems of tub faucet leaks. Bathroom Sink Drain Repair is another project for non-beginners. It walks you through fixing the most common problems found under the sink. Bathtub and Shower Faucet Replacement is a challenging project for homeowners that are comfortable with plumbing and getting inside the walls of their showers. These projects center on things you'll find in the bathroom, such as tub installation or caulk repair. How to Install a Bathtub is a project for a DIYer with some experience behind them. It covers the installation of the three most common types of bathtub installation. Installing a Whirlpool Tub is a project for advanced DIYers who have electrical and plumbing experience. This is a full weekend project. How to Refinish a Bathtub is a good project for a novice. This article walks you through basic refinishing techniques and when to use them. Installing a New Toilet is a good project for a novice. Install any floor mounted toilet, both one piece or two piece. Install a Pedestal Sink is a project for homeowners that have some experience with home projects. This article walks you through choosing, supporting and installing the sink. How to Install a Bathroom Countertop Sink shows you how to install a drop-in style bathroom sink. This is a great project for novices and can be tackled in an hour. These projects encompass all areas of the kitchen from cabinets to counters. How to Paint Kitchen Countertops is an easy project for most novices. The project takes you through the prepping and painting process. Installing Laminate Countertops is a good project for a patient homeowner who has some grasp on spacial planning and layouts. How to Make Kitchen Concrete Countertops is a challenging project for homeowners who have some experience with concrete or masonry. This is a time consuming project that produces beautiful and unique results. Choosing and Installing Kitchen Backsplash Tiles walks you through the various materials suitable for a backsplash, provides three patterns and gives basic installation instructions that can be tackled by a novice. Do It Yourself Cabinet Refacing walks you through the process of installing new cabinet doors and veneers. Suitable for novices who have some patience and several days to work. How to Paint Kitchen Cabinets is a great project for any homeowner who wants to spruce up their kitchen design. How to Make Cabinet Doors is a project for homeowners that have some woodworking experience. Expect this to take a weekend to complete. From carpet to tile, these projects encompass the flooring in all rooms of the home. Carpet Installing is a major project for DIY homeowners with some patience and experience. Expect this project to take a weekend or longer. How to Install a Laminate Floor walks you through choosing and installing most laminate floors. This is a good project for a novice to handle. Installing Bamboo Flooring takes you through the preparation and installation of bamboo floors. This project is good for those with some DIY experience and can take a weekend to complete. Installing Ceramic Tile Floors walks you through the installation process start to finish. Good for novices that have some patience and a weekend to work. Installing Hardwood Floors helps you select the right floor and install it. This is a project for those that have experience with laying down flooring in a home. 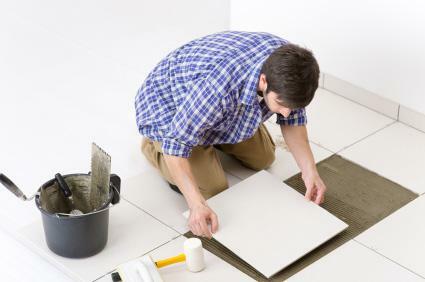 Installing Vinyl Floor Tile is a fast and easy project for most novices. This project helps you determine if vinyl is right for you before you install. Removing Vinyl Flooring is a time consuming project that can take several days to complete. It's not difficult work, however, and suitable for novices to complete. Repair Laminate Flooring walks you through the various problems laminate floors have and how to fix them. Fine for novices and takes a few hours per repair. Sanding Hardwood Floors is a big project that should be tackled by an experienced homeowner. This project can take a weekend or longer to complete. From painting to drywalling, these projects take on the interior walls of your home. Installing Ceramic Wall Tiles is a good project for a novice that has worked on installing floor tiles before. The project takes a weekend to complete. How to Install Wainscoting walks you through installing the more common types of wainscoting. This is a good project for a more experienced homeowner. Basement Wall Crack Repair shows you the various materials you can use to fix the cracks, and gives you important tips on using them. This is a good project for most novices to complete. How to Hang Drywall is a fast and easy project for most homeowners to tackle on their own. This project involves both hanging and mudding the drywall. How to Apply Bullnose Corner Bead is a good project for any homeowner who has basic woodworking skills to complete. How to Apply Joint Compound is a project for more advanced novices who have some time on their hands. This project can take a weekend to complete. From recessed lights to making your own chandelier, these lighting projects cover most rooms in the house. How to Install Recessed Lighting is a project that only homeowners who have some electrical experience should take on. Under Cabinet Kitchen Lighting Installation walks you through the types of lights and their installation. Suitable for homeowners with some electrical experience. Make Your Own Chandelier shows you how to either recycle an old chandelier or build a new one of your own. These projects can help you install or repair the windows in your home. Do It Yourself Glass Block Installation is a good project for a novice with some time and patience. This project walks you through glass block installation in most windows. Home Window Glass Repair is a difficult project that should be tackled by an experienced homeowner. This project can take time, depending on the type of window involved. How to Replace Aluminum Windows is a project for more experienced homeowners. The project takes you through removing and installing the windows. 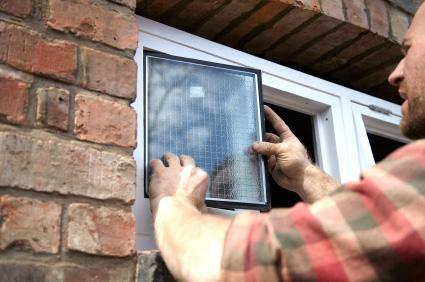 Installing Replacement Windows is a challenging project that should be done by experienced homeowners. Depending on the number of windows it can take several hours to several days to complete. Installing Window Trim is a good project for any homeowner that has some basic woodworking skills and a little time. Straighten and install the doors in your home. How to Install Door Hinges is a fast and easy project for most homeowners. This project can help with replacing or straightening a door. Installing a Pocket Door is a challenging project that more experienced homeowners may want to undertake. Installing French Doors is a more involved project that is better suited to experienced homeowners. It can take several hours to a day. How to Straighten a Wood Door is a good project for novices that have completed a few home improvement projects and are comfortable with tools. Install a Prehung Door is a very fast project that almost any homeowner can complete. These projects take you around the exterior of your home, from the siding to the deck. Build Your Own Deck is a complicated project for homeowners who have experience with woodworking and a good familiarity with tools. 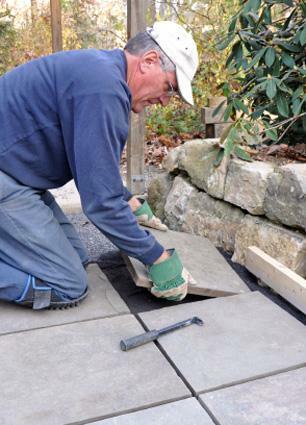 How to Build a Patio is a project that most homeowners can take on. Expect it to take at least a weekend to complete. How to Install Vinyl Siding is a big job, but one that can be accomplished by most homeowners that have the time and patience. Expect this job to last for a few weekends. Vinyl Fence Installation walks you through the selecting and installing of a new vinyl fence. This job should take about a weekend to complete. How to Shingle a Roof is a complicated project that should be done by a homeowner that has some experience with home repairs. Expect it to take a weekend or longer. How to Install Gutters is a complicated project that most homeowners can complete with a little time. Expect it to take you a few days to complete. With so many projects to complete around the home, your biggest problem may be choosing which one to start with. Start tackling some do-it-yourself home improvement projects around the house and watch your home come to life.